Enjoy 2 Online Healing Retreats for the price of 1. Online Webcast on Sunday, July 15th with bonus download. 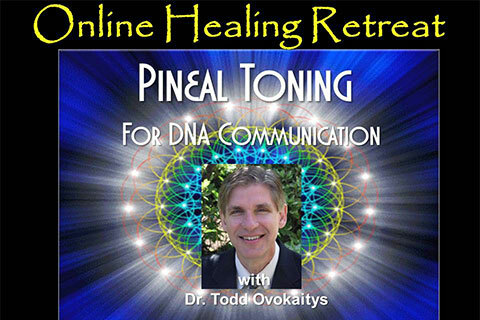 This Online Healing Retreat will assist you in communicating with your DNA and awakening your dormant DNA with Vibrational Toning. The principles will be discussed and then we’ll experience going into the DNA to amplify your system. Using patterns and tones opening up the senses and innate abilities and enhancing the vitality of the cells. At the level of quantum understanding, everything in the universe is simply waves and vibrations. The production of particular tones and overtones may therefore directly tap into a deeper level of quantum reality. The deep, peaceful states produced with Tibetan chants or the mantras of Transcendental Mediation (TM) show the power to relax and recharge the body with sound. Meditation practices actually showed a state of agelessness lasting at least a decade in its users. Join us for a Lemurian Toning Experience with Dr. Todd Ovokaitys.It’s been well-documented that listening to Mozart has a positive effect on our brain, psyche, memory, intellegnece and more. 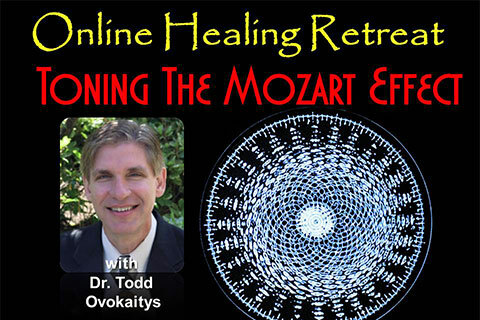 This 2-hour Online Healing Retreat will assist you in creating the Mozart Effect within yourself. It’s been well-documented that listening to Mozart has a positive effect on our brain, psyche, memory, intellegnece and more. Now, Dr. Todd Ovokaitys of the Lemurian Choir has scientific evidence that shows the Pineal Tones(TM) used in the Lemurian Choir in Maui, 2012, have a greater effect than playing Mozart. Learn how to create this effect within yourself in this Sonic Journey with information and practice of toning. 1. Online Broadcast so you can dedicate time and attention to the information.This is a beautiful and effective way to absorb the information and practice any toning that comes up for you, in your own personal environment.